Prominent & Leading Wholesale Trader from Chennai, we offer server room flooring services, kids play flooring and kids flooring. Our company has created a niche in the field of offering Server Room Raised Flooring Services to the clients. Kids will take pleasure in playing in these perfect indoor and outdoor children tents. We produce these goods with the finest quality resources to guarantee proper safety and strength. Our Rockers are frivolous and are in a huge demand as the growing kids are fond of playing with small and attractive products. Children play tents are highly long-lasting, available in various good-looking design, styles and color combinations. 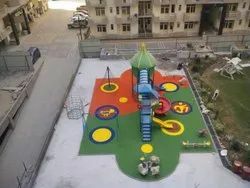 We are the manufacturers of Kids Flooring.